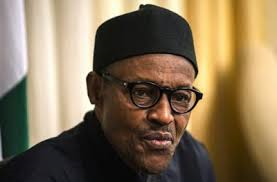 By Sadiq Umar – President Muhammadu Buhari has condemned the latest communal violence in Kasuwan Magani in Kaduna State in which 55 persons loss their lives. Mr. Buhari while reacting to the bloody clashes expressed worry at the frequent resort to bloodshed by Nigerians over misunderstandings that could be resolved peacefully. In a statement by the Senior Special Assistant to the President on Media and Publicity, Garba Shehu, the President noted that, “no culture and religion support the disregard for the sanctity of life. He commended the Kaduna State government for its quick response to the crisis. The President appealed to community leaders to engage in regular dialogue to nip imminent crises in the bud, while admonishing the people to develop the spirit of tolerance and patience at all times.